Why choose Nuffield Health Haywards Heath Hospital for your dorsal root ganglion block treatment? If you suffer back pain due to irritated spinal nerves one of our expert spinal surgeons at Nuffield Health Haywards Heath Hospital may recommend a dorsal root ganglion block. This procedure slows or blocks impulses and can significantly reduce back pain. Our expert consultants will provide you with a quick diagnosis before compiling a treatment plan personalised to you. Dorsal root ganglion block procedures can also be used as a diagnostic test to gain a better understanding of where the existing spinal pain is and whether any additional treatment is needed. 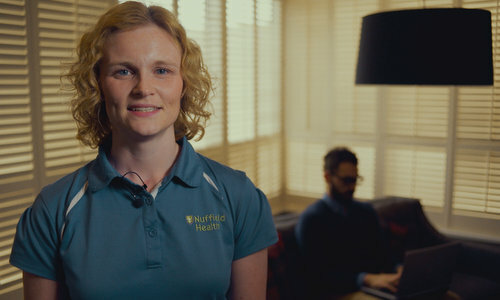 Nuffield Health Haywards Heath Hospital has been leading the way for private spinal treatment in the South East for a number of years. Our consultants and orthopaedic physiotherapy team combine to provide an accurate diagnosis, treatment plan and aftercare to get you back to the life you love. Our hospital is conveniently situated on the outskirts of Hayward Heath's town centre. Our ideal location enables us to provide plenty of free parking for patients and visitors. Local anaesthetic and steroid will then be injected into your dorsal root ganglion to ease pain and reduce inflammation. It may take a few days before you begin to notice pain relief from your block.